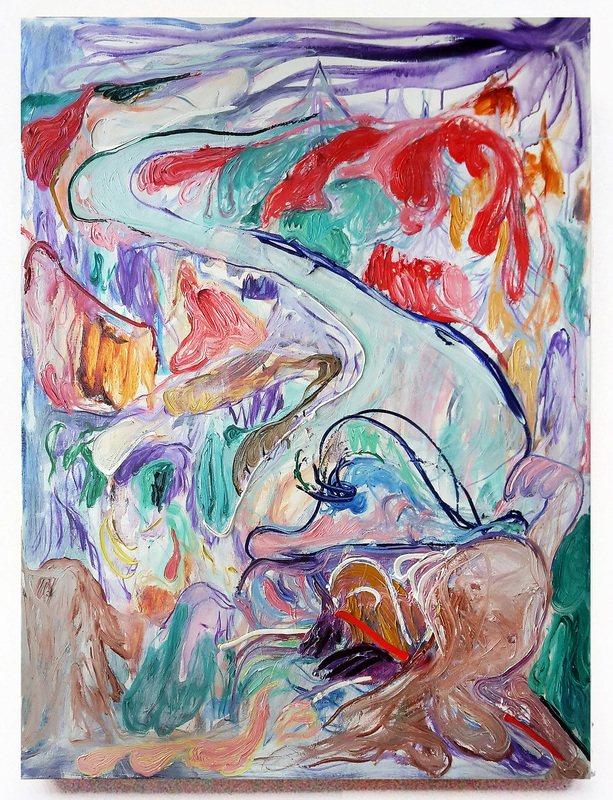 River Rafting is a combined acrylic and oil painting made in Denmark, 2017. The painting measures 90cm x 120cm. Materials used are 375g eco-friendly cotton canvas, Italian northern white gesso, AP authorized non-hazardous oil paint (ASTM D 4236) and blindfolded frame is in Pinewood.